Home 2015 Collectors' Edition - General articles What’s in the box? Airlines around the world are banning lithium batteries from air cargo. But will prohibiting this integral part of our modern lives improve aviation safety, or simply push their movement undeclared and underground? The power of lithium surrounds us. If it’s an electronic device such as a smartphone, tablet, laptop, camera, hearing aid or watch, chances are some form of lithium battery is powering it. These devices have become an essential part of today’s lifestyle, with battery manufacturing estimated to double over the next decade to maintain supply. With a large majority of the world’s batteries produced in Asia, IATA estimates that on some routes batteries are present in at least 25 per cent of cargo shipments. And high as this number might seem, it doesn’t tell the whole story, as only declared lithium batteries are being counted. Unfortunately, to bypass dangerous goods restrictions and to forgo important paperwork, some shippers are sending lithium batteries undeclared, making the real number unknown. 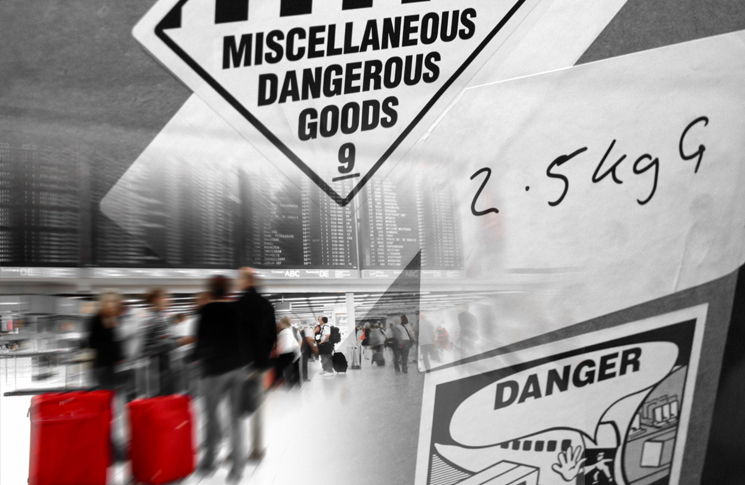 Declared dangerous goods are a known quantity. Their risks can be mitigated, and the record shows this strategy mostly works. 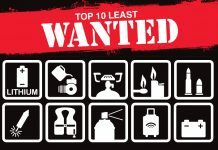 Events involving declared dangerous goods are usually benign and do not involve leaking or combustion. For undeclared goods, the opposite is true: inadequate or non-existent risk mitigation measures are put in place. Batteries have become such a ubiquitous and reliable item that the public have become complacent about the hazard they represent to air transport, leading to some batteries being mistakenly consigned as innocuous general cargo. But worse still are those individuals who are aware of the rules, but make a conscious effort to bypass them. It’s this non-compliance that has led to numerous incidents involving undeclared batteries around the world. IATA admits that despite the efforts of regulators, undeclared shipments are ‘clearly widespread’. 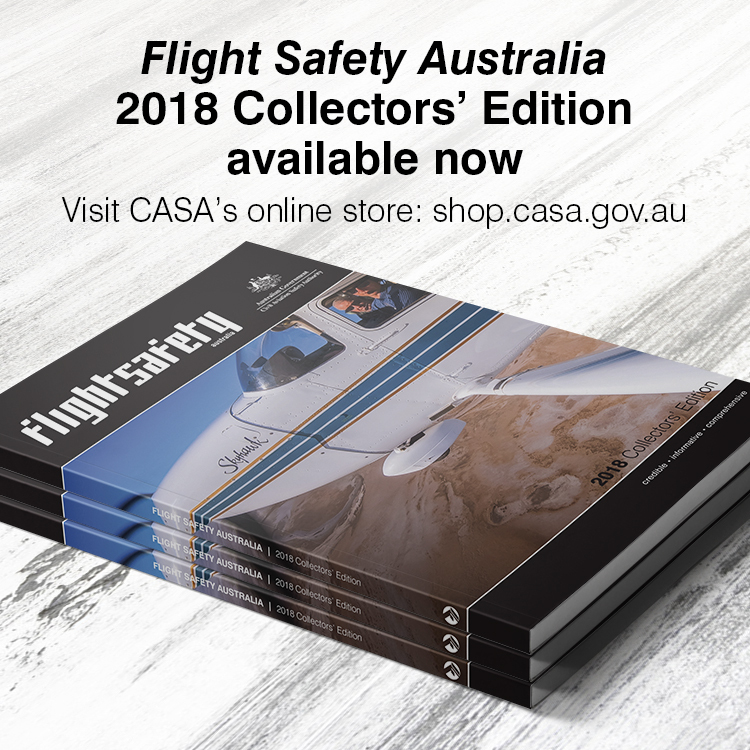 The most serious known incident in Australia occurred in April last year on a passenger Boeing 737 flight from Melbourne to Fiji. 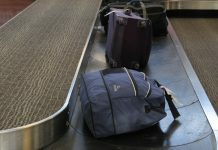 An Australian Transport Safety Bureau investigation found that during check-in, a passenger declared eight lithium batteries to be carried as hand luggage, but did not declare a further 18 lithium batteries in his checked luggage. As the bag was being loaded into the aircraft’s cargo compartment, the undeclared batteries short-circuited, sparking a fire inside the passenger’s luggage. The fire was quickly contained and the aircraft only sustained smoke damage, but this was enough to cancel the flight and the individual to face federal charges. It’s incidents and accidents like these that capture news headlines, although the media often fails to delineate between whether the cargo in question was declared or not. In 2013–14, the United States Federal Aviation Administration released new findings into the combustibility of bulk shipments of lithium-metal batteries. 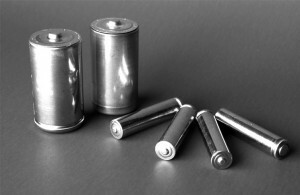 Some of the lithium-metal battery chemistries burned relatively benignly; however, there were some that expelled flammable electrolyte and others that produced a significant pressure pulse when they exploded. This concern became the catalyst for the International Civil Aviation Organization (ICAO) banning these non-rechargeable batteries on passenger aircraft from 1 January 2015. In 2015, attention turned to lithium-ion batteries, which much like their lithium-metal cousins come in a multitude of chemistries, battery designs and manufacturer’s construction standards. However, lithium-ion batteries tend to burn at a lower temperature, and the volatility of a possible fire is reduced through lowering the battery’s charge levels. Despite this, some batteries produce flammable gases that could be ignited by a burning battery, resulting in a blowout of cargo panels and causing a loss of halon—the aircraft’s fire suppression system. Lithium batteries make an existing firefighting conundrum more acute. Halomethane, or halon, is one of the few firefighting agents capable of extinguishing lithium-sourced fires. But halon is being replaced. CASA’s manager of communications, navigation, surveillance and air traffic management systems, Andrew Tiede, recently joined the regulator after a stint with the Australian delegation to ICAO. He points to the future and the effect of the Montreal Protocol, reached in 1987, in eliminating emissions of ozone-depleting chemical compounds. While different chemicals have been considered as a halon replacement, none meet all the stringent aviation standards. Aviation continues its exemption due to the ‘essential use’ of halon; however, end dates are now in place and the continued expansion of the world’s airline fleet places ever-greater pressure on existing stocks. By April 2015, several airlines announced they would no longer accept shipments of lithium batteries—with a few organisations conducting risk assessments and tracing lithium battery consignments back through the consignors, and into the manufacturers and factories. Most found there was good clear compliance with United Nations’ standards on battery testing and certification from the manufacturers. Airlines which chose to ban lithium batteries have tended not to consider the impact of a prohibition, the difficulty in detecting lithium batteries and the increased likelihood of an incident involving deliberately hidden lithium batteries. Firkins is wary of changing or imposing tougher rules—particularly if they cannot be enforced. 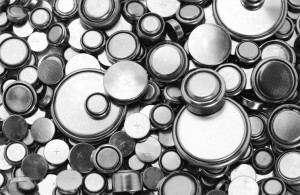 Having seen a pallet load of lithium-metal batteries deliberately consigned as lithium-ion batteries, he predicts that unscrupulous shippers will merely call them dry cell, alkaline, or nickel metal hydride. ‘Part of the problem is that current screening equipment does not differentiate between different battery chemistries, and there are a lot of different chemistries,’ he says. 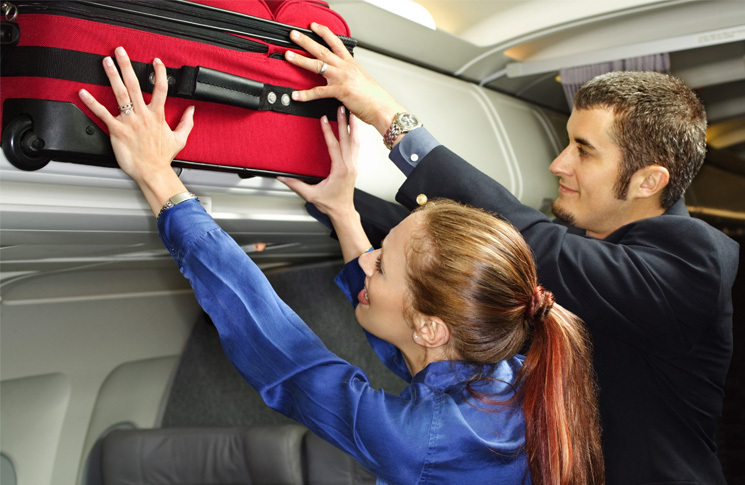 Firkins also identifies inconsistencies in the ban imposed by airlines. As the Melbourne incident shows, some people are willing to risk large fines in an effort to avoid the inconvenience of sending their batteries separately. Now with even tougher restrictions around their carriage, some fear the stricter rules will push some professionals and manufacturers to travel and ship batteries undeclared. With the growing use of personal electronic devices like smartphones, cameras and laptops in everyday life, it’s not uncommon for these devices—and the batteries powering them—to get damaged. Whether they’re dropped, smashed, overheated or mistreated in other ways, lithium batteries can become unstable and have been known to ignite fires due to mistreatment. If your battery displays any of these characteristics, it’s probably time to dispose of it correctly and purchase a replacement from an authorised retailer. It’s also a good idea not to travel with your batteries fully charged. Keeping charge levels at 40–70 per cent will ensure the particles that store energy will be in their most stable state during travel, minimising the risk of thermal runaway. Batteries do not last forever and it’s important to continually monitor the health of your battery. 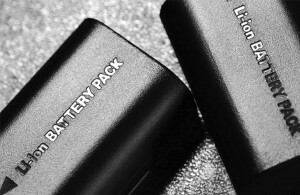 Continual discharges, over-charges and quick-charges will eventually reduce the battery’s overall capacity and health. Altitude simulation—to simulate transport under low-pressure conditions—11.6 kPa or less. Thermal—to assess cell and battery seal integrity and internal electrical connections; the test is conducted using rapid and extreme temperature changes between -40 and +75 C.
Vibration—to simulate vibration during transport—at frequencies between 7-200Hz. Shock—to simulate possible impacts during transport. External short circuit—to simulate external short circuit—battery temperature must not exceed 170 degrees Celsius when short-circuited at 55 degrees. Impact—to simulate a direct impact onto a battery—large object is dropped onto it and the battery is not to exceed 170 degrees. Forced discharge—a test to evaluate the ability of the battery to withstand a forced discharge—no disassembly or fire within seven days of the test.